The Bright Side Newspapers offer a variety of ways to share your message with our readers. 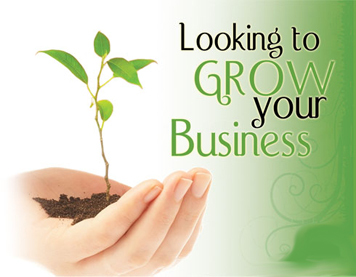 Advertising is your opportunity to tell your story about your business, your services, your offers. Whether you chose Online advertising on this website or Display or Classified advertising in our printed editions, we are here to help you. Our online advertising comes in two sizes and two rates. We help you create your ad at no additional charge. Click here to see the size and prices. Our classified ad rates, which appear in our This N That Section are $25 for up to 50 words, or $50 up to 100 words of our print editions. To submit your classified ad for publication click here. Our display advertisers have the opportunity to reach more than 90,000 homes in all four zones of our printed newspapers, which are delivered by direct mail in Cobb County. 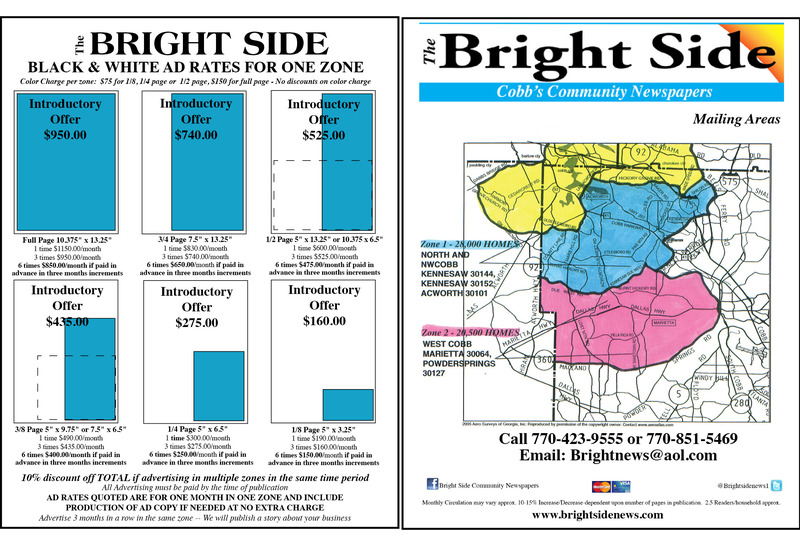 Our office publishes the Kennesaw/Acworth and Marietta/Powder Springs Bright Side Newspapers. We publish our printed papers online where, as a courtesy and a way to say thank you to our businesses, – all of our display advertisers are included in our on-line publications for FREE. We experience over 12,000 visits per month to the Kennesaw/Acworth Newspaper. Check out our papers on line at www.brightsidenews.com — click on Kenn/Acw News or Marietta/PS News button and then click at the top of the page — to see our most current editions of our papers. Our introductory display ad rates start at $160 for one zone for one month. We would love to talk to you about advertising with us, please call 770-851-5469 or email us at brightnews@aol.com. Display ad rates and a map of the areas we cover are shown below – click on image to enlarge.